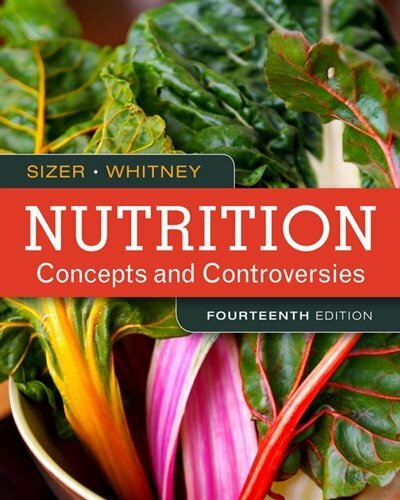 Build a healthier future with Sizer/Whitney's NUTRITION: CONCEPTS AND CONTROVERSIES! Updated throughout and featuring the new Dietary Guidelines, this clear and engaging market leader strikes the perfect balance of scientific research, core concepts, and relevant applications. With a lively and approachable writing style, the authors dispel existing misconceptions and empower you to make better nutrition choices and enact real, lasting behavior change. If you have any questions about this product by Brooks / Cole, contact us by completing and submitting the form below. If you are looking for a specif part number, please include it with your message.